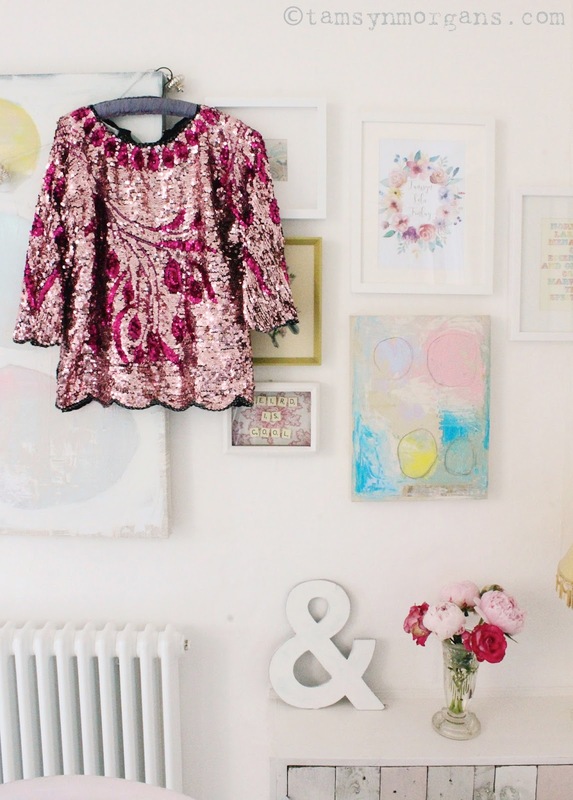 As you know, I love a bit of sparkle, so I’m attracted to anything sequinned like a magpie. One of the market stalls I visited at Glastonbury festival was full to the brim of gorgeous vintage sequinned tops and jackets, amongst which was this beauty. 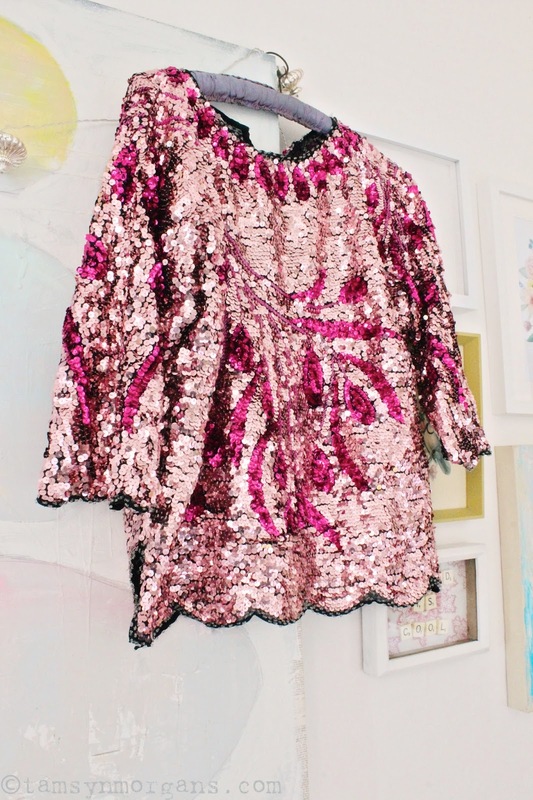 It’s the sparkliest garment I have ever seen. Plus it’s two tone pink and was £25, so it was a non brainer and I had to have it! It is a bit on the big side but actually I think that works once I team it with skinny jeans and ankle boots, plus it had enormous shoulder pads in which I whipped out. I love to display pieces like this like a piece of art – if you have a beautiful vintage piece, why not hang it on a lovely old wooden hanger on your wall? 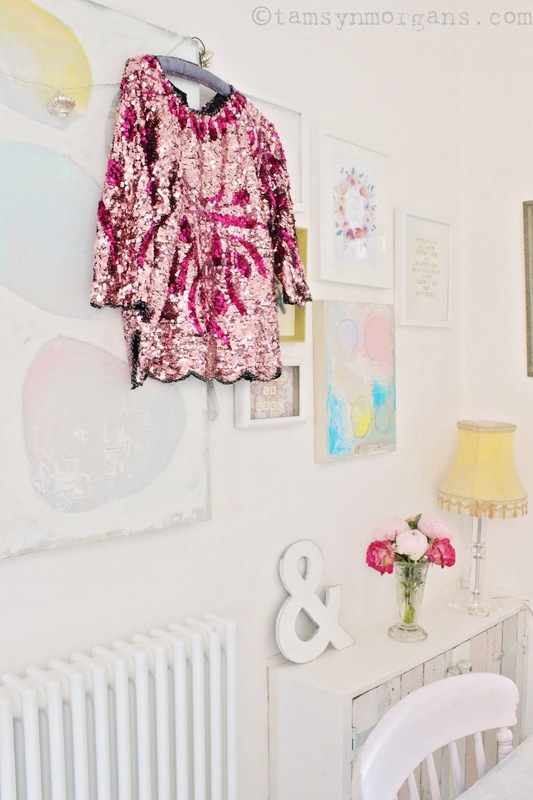 Clothing can make fantastic wall art (see another sequinned top post here) and you can either hang it amongst other art as I have here, or give it some space and display it on it’s own.